I had the wonderful pleasure of meeting and chatting it up with Sarah Francis Martin at the She Speaks Conference last year (where I may or may not have freaked out that she recognized me by name and called me over to the She Seeks table to chat with her! ), and I'm so thankful that I did. She is truly a beautiful person inside and out, with a super bubbly personality, a totally on-fire heart for the Kingship of Christ and a deep love for 20-somethings ministry. That said, I am so honored to have read Sarah's wonderful book that she wrote specifically for all of us 20-something's, and to share this book review/giveaway with all of you on Oh, Restless Bird today! Want to ditch the drama and thrive through your twenties? Body image. Friendships. Career. Money. Dating. All these issues and more serve as points of stress for the 20-something woman, and combined they can make for a decade of drama in a girl's life. 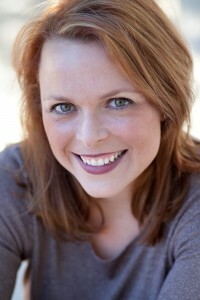 Sarah Francis Martin is the slightly older girlfriend who's been there, done that, and got the not-so-cute-t-shirt. Through this interactive Bible Study, Sarah helps young adult women address each stress point by encouraging them to wait on the Lord, worship Him, and make Him the focus of their lives. Stress Point is truly a love letter, written from the heart of a woman who's been-there and done-that, and has been called and purposed by God to reach out to every 20-something young woman who is living her every day, sometimes super stressful and drama filled life. Sarah constantly reminds us that we are not alone, and that we must shift our focus back onto the Kingship of Christ throughout Stress Point. Really I am just so thankful for my friend Sarah, and for her wisdom held within this beautiful book! This is not just a book that you skim through, only read once and forget about. This is a book that is going to redefine stress in your life, for the better. I know it has for me at least! The advice on every stress point from a-z was met with sincere honesty, Girlfriend Case Studies, Journal Spots, Prayer Spots and the raw and real quality of been-there done-that wisdom that Sarah presents (even painfully at times it seemed) in sharing her own stressful stories of her own 20-something life, really resonated with me and spoke immense volumes to my own restless stressed out self. I'm Recommending This Book... If you're a 20-something who longs to live out your faith in your every day drama filled life, and are in need of learning how to worship Him on a much more bold and deeper level than ever before, then this hard-hitting yet comforting, totally relatable, chock-full-of-excellent-girlfriend-chat-time book is for you, my dear friend! 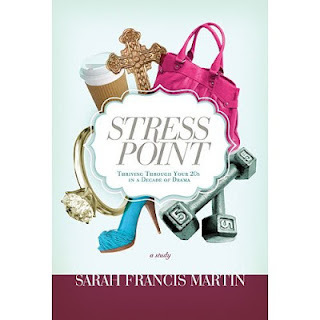 *I received a free copy of this book from Thomas Nelson Publishers/Sarah Francis Martin for the purpose of this review. Would YOU Like To Win a Copy of Stress Point? As a 20 something I definitely struggle with is relationships. Everyone is in a constant state of flux and as a result it is very difficult to maintain steady relationships. People are figuring out their career paths and thus constantly changing. Finding quality time to spend with one another is difficult. Yes, that is so true! Thanks for entering and good luck! As I commented on your FB announcement abt this--I.Need.This.Book. On my wishlist to *buy* & own if I don't win the giveaway! I've never seen something like this--looks AMAZING. And your friend's blog has already been an encouragement. This looks like it would be such an encouraging read! I worry about my future and how I am going to build it. I know I need to trust that it will all work out because God has the perfect plan for me but is still hard not knowing. Yes, it always does seem to come down to trust. Honestly, I struggle with singleness. It's so hard because all my friends are dating/married!!! Sa-rah, such a great review! Love how you organized it into categories similar to the way I write book reviews. 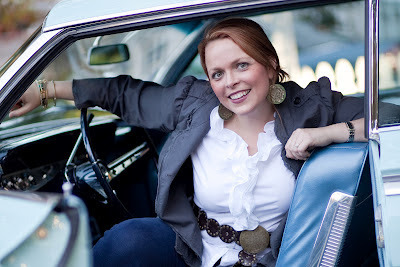 :) Are you participating in the summer study on Sarah M.'s blog?